Not to miss... the SF Experience! Fun-tastic loop course on the Great Hwy! 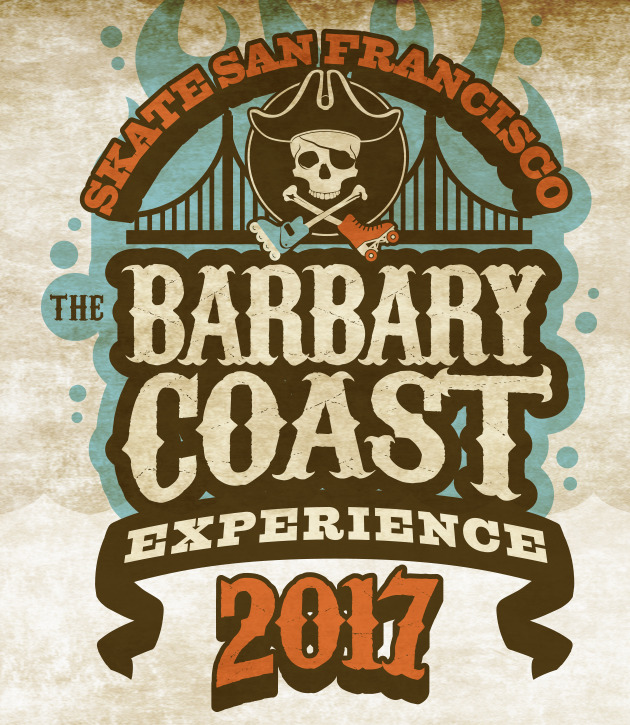 The Barbary Coast Roller Marathon is a 26.2 mile skate race along San Francisco’s Ocean Beach. There is also a 4 mile Mini Marathon with the event. With the Pacific Ocean as a backdrop, skaters will race along the four (4) mile road course on the Great Highway. You will not experience a more fun, exciting skating weekend as the one we are planning for you in one of America's greatest cities, San Francisco. The action begins on Friday, July 7 with the San Francisco Friday Night Skate. For more than 25 years this rolling skate tour /party has been rolling through the City. You’ll skate through the sights like Pier 39, Fisherman’s Wharf, Ft. Mason, the Palace of Fine Arts. Union Square, the Bay Bridge lights and more!!! On Saturday we take the action indoors at the Church of 8 Wheels, San Francisco’s Roller Disco. This place is being called the greatest roller disco in the world!!! The building is a 125 year old Catholic church. It was damaged in the 1989 Loma Prieta earthquake and sat empty for nearly a decade until we came in and transformed it into one of the hottest night spots in San Francisco. The event expo will be here during the day and a fantastic roller disco party that night. Sunday is race day. After the race we will meet up at Skatin’ Place in Golden Gate Park for the awards presentation. The event will be held rain or shine. Entry fees are not refundable. I will be there again this year! If you are thinking about going and haven't registered yet, do it asap. David has put out all of the money for permits, insurance, etc, and at this point there aren't even enough people registered to cover his costs. This is a super fun race! Judging by comments today on Eddy Matzger's FB page (Skate Farmer), it looks like he will be joining us on the Great Highway next weekend. I guess the pace will be FAST! Actual times for the full marathon we're approximately 5 minutes faster than what's reported here. Number of participants was down dramatically this year! The weather was cold with light mist/drizzle. There were a few crashes -- the turns are pretty scary! David Miles always makes these events really fun! Everyone there had great attitudes and great energy! Skating on the Great Highway along Ocean Beach is pretty cool! Check-in at the Church of 8 Wheels is a pretty unique experience! The awards ceremony was very well done! Impromptu roller-disco at the finish line was entertaining! A weekend in San Francisco is always fun! Thick fog and light mist, definitely. However, the road was effectively dry. No slipping or sliding anywhere. This year was a far better test of what the venue could throw at you. The roads were fine, but the U turns became a bit damp and slick, particularly on the cross-walk paint as fog moisture accumulated. Hubby took a nice spill in the north end U turn, combination of fog dampness and sand on the painted cross walk surface. He was also using a lower profile wheel, so maybe did not have enough contact/bite thru the corner at high speed. That costs him a 3 stitches to the chin and a small jaw fracture. Another friend went down on the same spot, just moments after hubby had got up and out of there. The other skater suffered facial road rash, fortunately no bone fracturing. Both are also ice speed skaters, wondering if they went thru the corner(like on ice) on corresponding edges versus an A frame stance(2 footed inside edges)? Still the venue and course was great. My group was just skating it, we were keeping a nice pace. we'd gotten in all be 3 laps when I had to bail out and drive hubby to ER. 'Til next year.